Sabine, General Edward, 1788-1883 (5) - 2nd Lieutenant R.A., 1803. Instrumental in conducting the first systematic magnetic survey ever made in Great Britain. President of the Royal Society 1861-71. Salt, Titus, 1803-1876 (3) - Manufacturer who made his fortune by developing a method of using alpaca hair. Built manufacturing town of Saltaire. Represented Bradford in the House of Commons 1859-61. Created a Baronet in 1869. Saumarez, Philip, ?-1889 (1) - Lieutenant of H.M. Sloop "Persian" at the Cape Naval Station 1859-60, which visited the Zambezi Expedition at Kongone 1859. Schut, Alberto (1) - Leading merchant of Loanda. Financial member of the committee administering the local almshouse 1853-56. Scott, [?] (1) - Resident of Bombay. Sedgwick, Adam, 1785-1873 (10) - Professor of Geology at Cambridge after 1818. Later a fellow of the Geographical Society, and of the Royal Society. President of the British Association in 1833. Sekeletu, 1834-1864 (1) - Son of Sebituane and chief of the Makololo 1853-64. Treated for a skin disease by Livingstone in 1860. His people disintegrated as a political unit after his death. Seward, George E., ?-1909 (10) - Assistant Surgeon in the Bombay establishment 1855. Served as Agency Surgeon, Acting Political Agent, and Acting Consul in Zanzibar, where Livingstone met him in 1864. Retired in 1884. Seward, Mrs. (1) - Wife of George Seward. Sewell, Margaret (12) - Widow who kept a boarding-house in London, where Livingstone lodged when a student. Shaftesbury, Lord, 1801-1885 (1) - Antony Ashley Cooper. Succeeded to the title in 1851. Famous philanthropist, with an interest in a multitude of benevolences. Member of various religious societies, including the Church Missionary Society. Shaw, H. Norton, ?-1868 (22) - Qualified as a surgeon in Copenhagen. Travelled widely as a surgeon for a shipping line. Assistant Secretary 1849-54 and Acting Secretary 1854-63 of the Royal Geographical Society 1849-54. British Consul at St. Croix. Shelburne, The Earl of, 1816-1866 (3) - Henry Thomas Petty Fitzmaurice. Succeeded as 4th Marquis of Lansdowne in 1863. Member of Parliament 1847-56. Sicard, Tito Augosto d'Araujo, ?-1864 (3) - Portuguese Commandant of Tete up to 1859. Commandant of Mazaro and the Shire 1862-64. Temporary Governor of Quilimane. Silva, Custodio Jose da (6) - Governor of Quilimane during the Zanzibar expedition. Rescued by Livingstone and a Portuguese sergeant when wounded under fire at Mazaro in 1858. Skead, Francis, 1823-1891 (4) - Royal Navy's Surveyor at the Cape of Good Hope 1856-63. Accompanied the Zambezi Expedition from Cape Town in 1858. His discovery of the Kongone River/Canal was vital to Livingstone's interests. Smith, Andrew, 1797-1872 (1) - Staff surgeon, R.A., 1837. Stationed in the Cape Colony at Natal, where he conducted serious ethnic studies on the Khoisan and the Zulu people. Superintendent of the Army Medical Department. Knighted in 1858. Smith, R.M. (4) - Merchant in Leith. Smith, Robert A., 1817-1884 (2) - Chemist. Smyth, Annarella (1) - Wife of Admiral William H. Smyth. Smythe, William H. (1) - Captain, R.N., retired as Rear Admiral in 1853. Snow, John (2) - Publisher and bookseller in London. Spencer, Thomas, 1796-1853 (1) - Curate of Hinton Charterhouse 1826-47. Social reformer. Stanley, Henry M., 1841-1904 (12) - Journalist and explorer. Roving correspondent of the New York Herald. 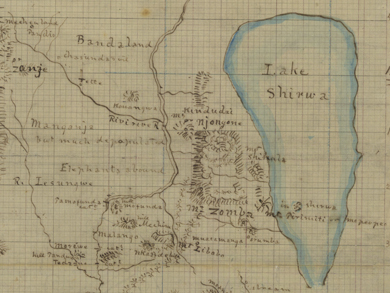 Sent by James G. Bennett to find Livingstone, and met him at Ujiji in November 1871. Travelled with Livingstone until March 1872. Later became a major explorer of Africa in his own right and, for King Leopold of Belgium, one of the founders of the Congo Free State. Stanley, Lord, 1826-1893 (5) - Edward Henry Stanley. Succeeded as 15th Earl of Derby in 1869. Conservative politician, inter alia Foreign Secretary 1866-68. Starkey, S.F. (2) - Hatmaker, 4 New Bond Street, London. Stearns, William F., 1834-1874 (5) - Merchant from Massachusetts. Partner of Stearns, Hobart and Co. in Bombay 1857-68. Livingstone met him on board ship in 1865 and lived in his house for much of his stay in Bombay. Stebbing, J.R. (2) - President of Polytechnic Institution, Southampton. Steele, Thomas M., 1820-1890 (20) - Officer in the Coldstream Guards and aide-de-camp to the Governor of Madras. Met Livingstone on a hunting trip in South Africa in 1843 and remained a close friend. Later served in Crimea, became a General, and was Commander-in-Chief in Ireland. Knighted 1871. Stephens, Henry E., ?-1913 (1) - Captain, R.N., 1883. Acting-Lieutenant H.M.S. "Frolic" 1856-57. Stewart, James, 1831-1905 (11) - Minister of the Free Church of Scotland. With Livingstone and the Zambezi Expedition 1862-63 on church business. Strong, Sidney, ?-1863 (1) - Secretary of the Universities' Mission to Central Africa at the time of his death. Sturge, Joseph, 1793-1859 (1) - Philanthropist who espoused the anti-slavery cause. Joined the Anti-Corn Law League. Was a member of the Society of Friends and President of the Peace Society. Sunley, William, ?-1886 (14) - Prosperous sugar plantation owner on Anjouan (Johanna). Served as H.M. Consul in the Comoro Islands 1851-65. Sykes, William H., 1790-1872 (1) - Army officer in the East India Company and naturalist. Deputy chairman of the East India Company 1855 and chairman 1856. Fellow of the Royal Society. President of the Royal Asiatic Society 1858. 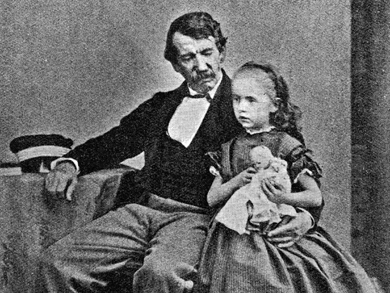 One of the founders of the Statistical Society and president 1863.